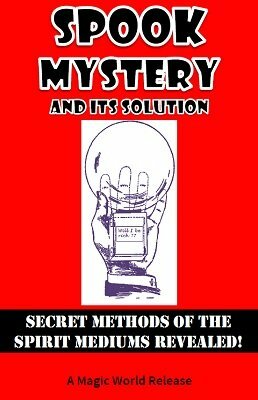 A classic text that exposes the actual methods employed by fraudulent mediums and psychics! Written by a lawman-turned psychic detective, this is the real work that lays bare how unscrupulous operators fleeced their victims while posing as mediums and spirit guides. Robert A. Nelson, purveyor of all things psychic, praised this work in his early catalogs. The ebook has been completely reset in new type, with some minor editing performed by B.W. McCarron. A reproduction of the full-page advertisement from the Nelson Enterprises 1927 Catalogue Number Six is also included. 1st edition 1926. First eBook edition 2015. PDF format. 110 pages.